Belva Davis, a TV journalist who reported on SF State’s ethnic studies student riots, made a return to campus to present her new memoir chronicling a 50-year career in the Bay Area as the first black female TV journalist in the West. Six SF State departments sponsored the event. Africana studies, cinema, broadcast and electronic communication arts, creative writing, women and gender studies and journalism pulled out fancy cheeses and an open bar for the historical figure and her book signing at Coppola Theater. Davis read from “Never In My Wildest Dreams” and spoke about her scholarship that aims break the barriers she overcame as a black female reporter. 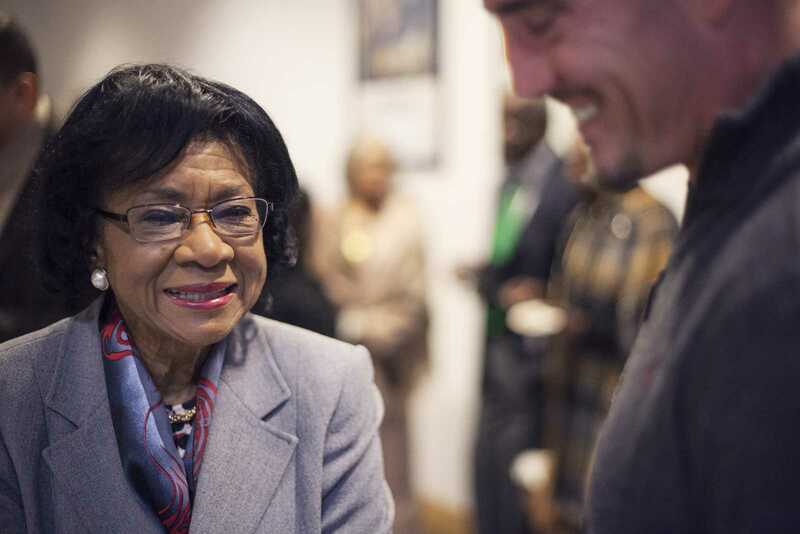 To combat this, the Bay Area of Black Journalists created the Belva Davis Scholarship in her honor nearly a year after Davis signed off for good. The scholarship presents the five student winner with $1000 each on Nov. 8. “She paved the way for me. We need to learn about what she did and honor her,” said Angelica Ekeke, journalism major and scholarship applicant. In 1951, Davis was accepted to SF State after graduating high school as the first in her family, but couldn’t afford to attend. Years later, she visited SF State on-the-job to cover the 1968 student strike for the College of Ethnic Studies that shut down the campus and made national headlines.